I’m so happy and surprised because my son Jaycee is making preparations for my 60th Birthday Party! I’m so touched and grateful for my son, especially for understanding what I’ve always wanted. Jaycee and his team are preparing for my 2014 “With Heart, With Love, With Happiness” 60th Birthday Party. Of course, I would like to invite my fans to take part in this monumental event as well! The theme of my party will be love, peace and harmony. Tentatively, a lineup of events will be held in Beijing and Shanghai between April 6 – April 10, and will include a concert, fan club party, and an opportunity to visit my JC Film Gallery in Shanghai. If you’d like an opportunity to celebrate with me, keep a close eye on my Official Jackie Chan website for Jaycee’s latest updates. The number of participants to the event is limited so Jaycee and his team will announce further details on the selection process soon. If selected, you just need to prepare your own return airfare tickets and necessary visa documents for China. 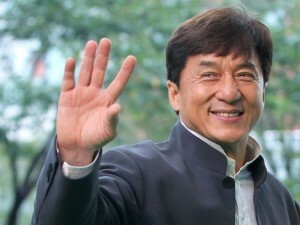 Expenses during your stay in China, including concert tickets, entry to my museum, food during the trip, accommodation, and local transportation will be covered by me, Jackie Chan. This pre-announcement from Jaycee is for all my fans. Further details on how to participate in this event will be announced early February. So, keep your eyes posted for the latest updates. I look forward to seeing all my fans very soon. A big heartfelt thank you to everyone for your unconditional and continuous support!